Motorola and Nokia, both major players in the smartphone industry, launched a range of smartphones in the previous days. But due to the timing, and the lack of details, the reveals barely made a ripple in the minds of shoppers. 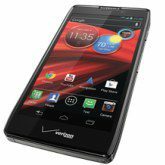 Motorola launched three new smartphones, the Droid Razr HD, the Droid Razr Maxx HD and the Droid Razr M all running on Google’s Android software. Motorola showed off the phones at a press event in New York, its first big media gathering since Google bought Motorola in May. Verizon Wireless, the biggest U.S. mobile provider, will sell all three devices. Nokia, on the other hand, revealed its first smartphones to run the next version of Windows (Windows 8), the Nokia Lumia 920. The lenses on its camera shift to compensate for shaky hands, resulting in sharper images in low light and smoother video capture, Nokia said. It can also be charged without being plugged in; the user just places it on a wireless charging pod. Nokia also unveiled a cheaper, mid-range phone, the Lumia 820 which also runs on Windows 8. But even with new product launches, the industry is still buzzing about the possible launch of the new iPhone 5 in the next week. The eagerly awaited iPhone 5 has had a devastating effect on the marketing of the products that were launched this week. And with nearly no pricing or roll out dates revealed on the smartphones by both Motorola and Nokia, consumers were left disappointed and confused. With such crucial information lacking from both launches, the smartphones failed to make any strong impressions among the consumers. With pricing being the crucial game changer in this business, all eyes are set on the big announcement by Apple on September 12, 2012. Other companies may decide their game plan based on the launch and price division set up by Apple.